So I am always trying new skin care products since genetics gifted me with oily skin. Over the holidays Amazon had Glam Glow on their instant specials so I decided to try it out. I gave it a full three months of use before I made judgement. I used the product every other day and on my off days use my normal cleanser with my clarisonic. I found that even after washing my face afterwards, I still had a lot of the oil it pulled to the surface on my skin, so I use cotton and a toner to clean up afterwards. Pros: It definitely gets in deep and clears out your pores leave skin soft and smooth. GREAT spot treatment... If i felt a problem brewing.. I dabbed a little of this on and the next morning it was gone! Green Tea Based... I LOVE green TEA! Cons: Holy Expensive Batman... a 1.2 oz container is somewhere around $65 and up depending on where you purchase. Soft smooth feeling only last for a day or too though! Overall I would buy it again if it was on discount or if they came up with a larger container. It did noticeable improve my skin. I took a risk and got mine off amazon directly from GLAMGLOW. I want to stress that you need to use caution and buy from reputable sellers... check out their feedback and other reviews first. People will buy the containers of old products and fill them back up with whatever they can find under the kitchen sink. Not only are you then ripped off but you are probably going to be visiting the dermatologist often to correct whatever the fake products did to your skin. I am in no way a medical professional so please see your dermatologist to find a system that works for you. GLAMGLOW did not sponsor this blog.. I just like sharing what products worked for me since skin care can be so frustrating. And wedding season has started! Now that I don't have my own wedding to worry about, I can focus on everyone else's! 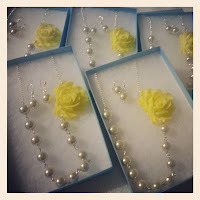 This year I am creating tons of custom bridesmaid necklace orders recreating what I did for my own bridesmaids last fall. A good 85% of my orders are from former high school classmates... Thank you social networking! So far the 'it' colors this year are yellow, green, and coral... Can't wait to see what other color combos I get request for! Disclaimer.... Remember I am moving across the country.. So my shop will shut down mid may and reopen in July... Please plan ahead for those June weddings! 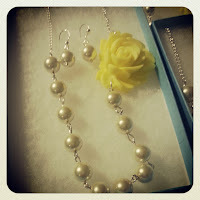 Leave a comment or message me at www.murdermittencreations.com for a quote on your wedding day! 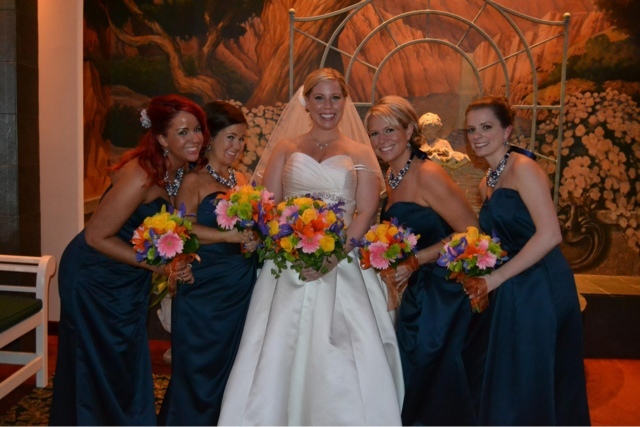 And I leave you a picture from my happily ever after with my favorite girls on the planet! You're going where? For how long? Her face cracks me up! So it's official.... my little family is packing up and moving to Dallas, Texas this summer. I have a lot of mixed emotions about it but I know its the right move for us. From a business prospective, I will probably shut down MurderMitten from Mid May til July just so I can pack everything up properly and get settled too without worrying about filling orders. 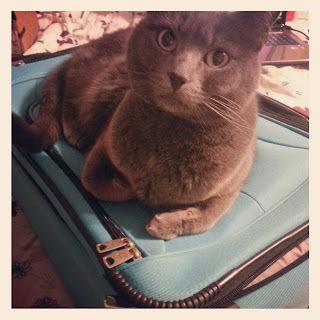 Thirty-One will carry on business as ususal! Looking forward to this new adventure... you should see all the "decorating/stay at home wife/mom" ideas I have on my pintrest board already! I joined Thirty-One for without ever attending a party. I was vaguely familiar with their products and had recently purchased a tote from one of my friend's "facebook online parties". Sounds crazy right? Probably but I did it, I love it, and I'd never turn back. On top of a generous commission, I also earn free bags for meeting monthly sales goals... sales goal = $200. That is one party! There has never been a better time to join Thirty-One! New Consultants who join anytime between February 16 and April 1, 2013, can earn a $99 rebate on their Enrollment Kit when they submit $1,000 in Personal Volume in their first 30 days.. Do you have any idea how easy that is to do!?? Check out the Spring Enrollment Kit... it is adorable! These products sell themselves! For more information please feel free to reach out to me and I will answer all of your questions.. This song is absolutely beautiful and hits a little too close to home. No more regrets starting today. Time is to short to hesitate.